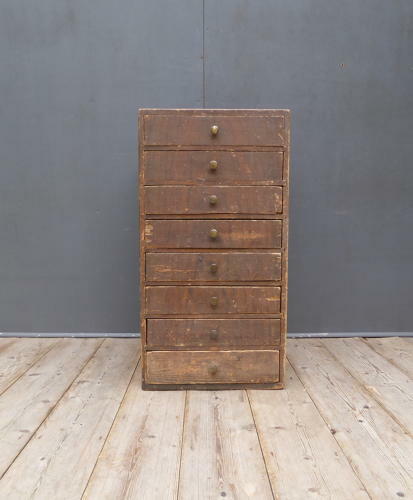 A beautiful bank of Victorian pine specimen drawers. A fantastic bank of drawers in their original scumble painted finish with all small brass handles & a wonderful age related patina. Wear commensurate with age, good original condition showing numerous favorable signs of age. One drawer base has a naive old repair & the sporadic woodworm holes have been treated as a prcaution. UK courier service available at £15 tracked & signed for 48 hour delivery.